How to colour glass when you don't have the TXTR for it. Simple TXMT changes. 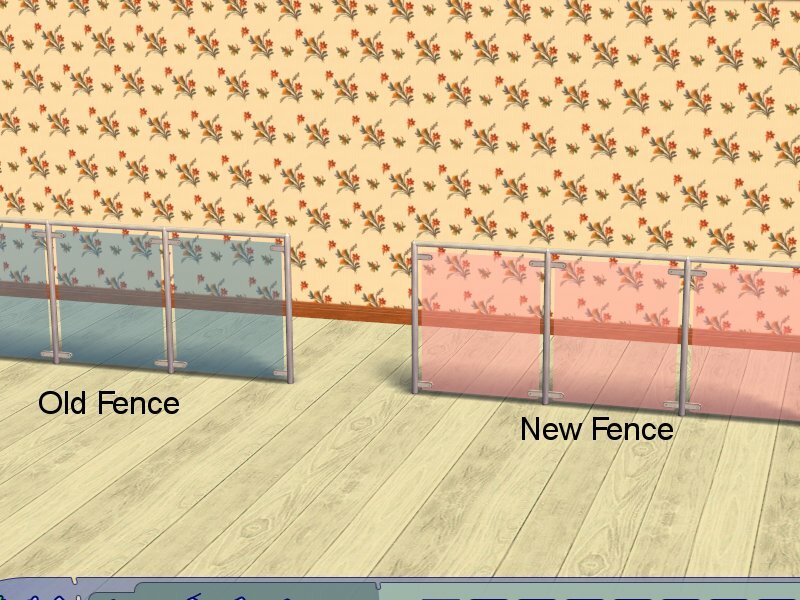 When you have a window, fence, door and you want to change the colour, so you clone/recolour it - but there's no TXTR? Don't panic. Follow these simple steps. 1. Choose a colour - you need to have the RGB values. If you don't have a paint program, you can use this site: ColorPicker.com which will get them for you. 2. For each number, divide it by 255. it will give you a number between 0 and 1. Our Example I'm using the invisibarrier in Ether to recolour to blush. 3. 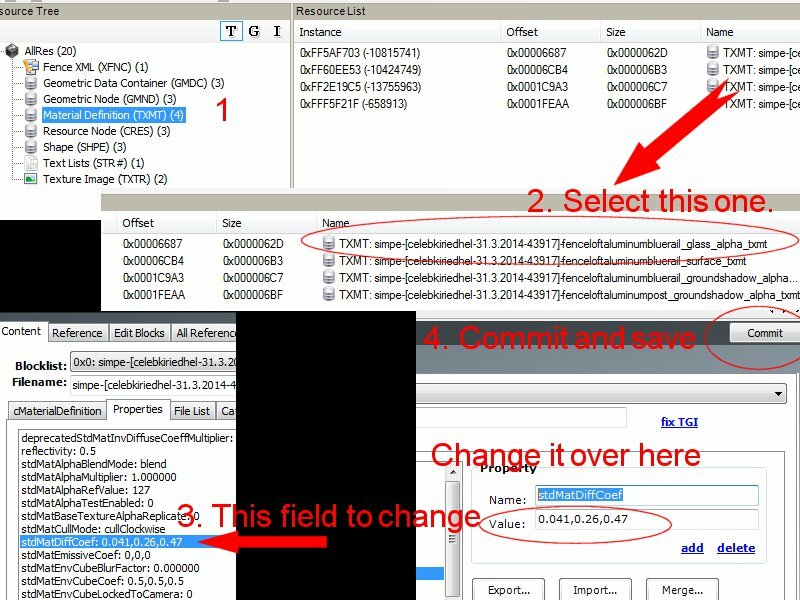 Open up your object with SimPE, plug-in details tab.Choose the TXMT that has a name that ends with glass. Although you won't be able to change the texture, you can use the TXMT to change the colour. There is a field called stdMatDiffCoef, place your 3 numbers in this field, separated by commas with no spaces. This is awesome, thank you Kiri One day I will learn what awesome tricks the TXMT has to offer. This is a big step in the right direction! Thanks for this Kiri, I recently spent a few hours trying to work it out on my own, like Catherine said "through trial and error". Now I feel stupid, seeing how easy it is.